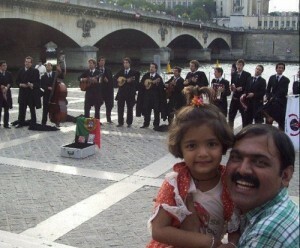 Makarand Anaspure was born 22nd July 1973 Aurangabad, Maharashtra state. He is a popular for his comedy roles in Marathi cinema. 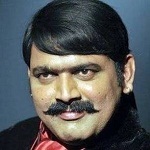 He also appeared in few Bollywood movies and Television serials. Hindi actor Nana Patekar had great influence on him and he is good friend of him. Makarand Anaspure is known for his unique Marathwada accent of Marathi language, he gained popularity after appearing in Marathi movie Kay Dyache Bola released in 2005 co-starring Sachin Khedekar, Mohan Agashe, Arun Nalawade and Nirmiti Sawant. Apart from acting her also ventured into film direction in 2011 through Marathi Film Dambis. His first production film was Goshta Choti Dongraevadhi in 2009. He also worked for Television shows like Hapta Band, Changbhal, Fu Bai Fu etc. 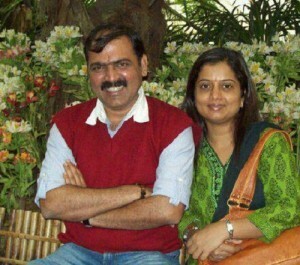 He is married to Shilpa Anaspure and the couple have a daughter Usha Anaspure.